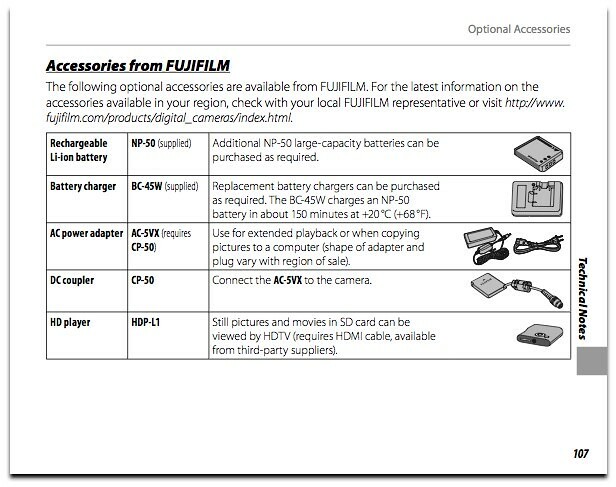 The English Language Fujifilm FinePix F300 EXR (also known as the FinePix F305EXR) user manual / operating instructions (FujiFilm calls it the “FujiFilm FinePix F300EXR Digital Camera Owner’s Manual”) is now online and available for download at FujiFilm.com (right-click and save the user guide to your hard drive). If the download link didn’t work for you, go to the official F300 / F305 site and manually locate the file in the Manual section. 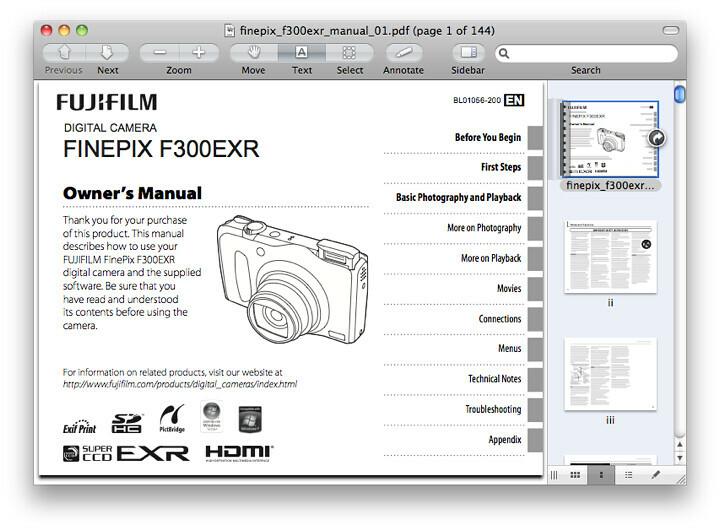 Unlike with Nikon, Fuji allows you to freely print the F300 owner’s handbook without building in any password protection into the PDF. The file size of 144-page Fuji F300 Adobe Acrobat PDF document is 3.9 MB (megabytes). The guide discusses the features of the F300 and how to use the camera. Page 121: Using the AC-5VX AC power adapter and CP-50 DC coupler. These power supply options are useful for extending the operational hours on the F300EXR.